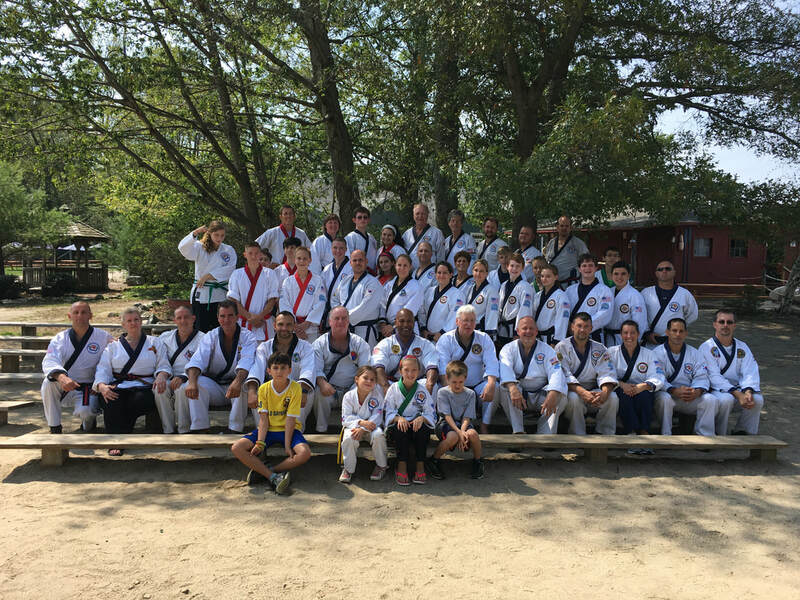 USGTSDA members and friends you are invited to take part in the 2019 USGTSDA Gup & Dan Training Camp. It will be held September 6 - 8 at beautiful Camp Hazen YMCA Leadership Training and Retreat Facility in Chester, CT.
Masters, Dans, and Gups are encouraged to take part in this high energy and fun filled training weekend. 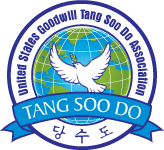 We will cover all areas of Tang Soo Do from beginner to advanced. This training camp has been a long time in the coming and I’m very excited at the opportunity to work with and to develop the students and instructors of our Association. Hyungs, ho sin sul, tournament sparring, weapons training, grappling and tons of fun! These clinics are offered by Sa Bom Nim Wesley C. Jenkins of Tiger Do Jang. He will present Sa Do Jang Cho Dan (cane form) for Youdanja and Red Belt Gup members. Kodanja are invited to join him as he presents Ma Jin Hyung (Horse Working or Running Horse) as taught to him by Grandmaster Myung Seok Seo. 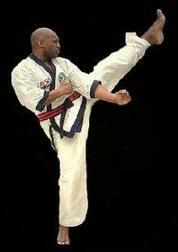 ​Master Duethorn is the co-owner of Quest Martial Arts, as well as the head instructor of the school. I am currently a 5th Dan in Tang Soo Do, a blue belt in Brazilian Jiu Jitsu, and a certified F.A.S.T. defense instructor. I started here first as a student, and then as a parent of two students. My experiences here transformed my life and were the catalyst for a career change. That's why, I left the teaching and guidance counseling profession in 2002 to pursue a full time career in the martial arts. 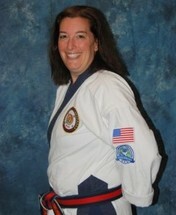 2011 New England Tang Soo gold medal in weapons and bronze in forms.